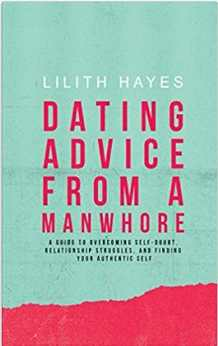 Author Lilith Hayes’ debut work, “Dating Advice from a Manwhore,” recounts one woman's journey of self-doubt, relationships, and everyday struggles, all under the watchful eye of her philandering, yet wise, best friend. Hayes elegantly intermixes modern dating challenges with scientifically supported solutions, to create an engaging story, that gives the reader a breadth of understanding and a source of entertainment often absent from contemporary self-help publications. This book is truly a thoughtful addition to the genre as a whole.